Menus and market research go hand in hand here at Beatons. Hopefully they create that ‘Mmm…’ which means delicious! We thought we’d give you a bit of insight as to what and who’s behind our menus this month. Did you know they change throughout the day? Through breakfast, lunch and Afternoon Tea! And, of course, there are special menus if you’re indulging in one of our full Afternoon Teas or have special dietary preferences (our Elegant Options menu has been created just for you). The brains (and sometimes the brawn when it comes to mixing quantities of scone dough or preparing meat) is Ben. Ben – our highly trained chef who loves the challenge of producing hot and cold canapés for a hundred at our launch soirées – is at the heart of menu selection and creation. But he draws on ideas from outside and within the tearooms. Some of them from you! You’re always welcome to add suggestions and comments at the bottom of our feedback cards (if you’re not given one you’ll find them at the counter). We read every one and suggestions get fed back to Ben ready for when he considers the next set of seasonal changes. Our central team also contribute, as well as our growing number of Franchisees. And, naturally, all the ‘Beatons Central’ team – Ben in particular - are on the look-out for new developments and inspiration externally. If Ben thinks he’s found something, he’ll then apply his creativity to give the dish a dash of Beatons’ originality. After that? It’s trialling, recipe writing, and testing, testing, testing! Finally, the bit I occasionally get involved in. Word play! Often its Zoe who comes up with an elegant yet pertinent name, ready to add it to the menus. Our tea choice, too, is updated on a regular basis. One of our newest additions, The Duchess *– an extremely refreshing twist (lemon) on Earl Grey – has just been chosen by one of our newest franchisees, Fifi, as her house tea. 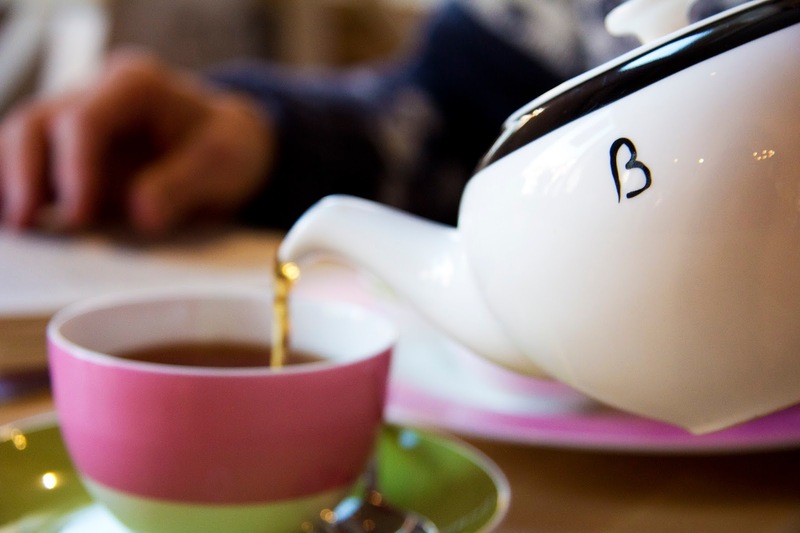 We’ll be helping her launch Beatons Petersfield – our first Hampshire tearooms – in October. Why not enjoy a pot of ‘The Duchess’ (best without milk) as you take a more informed glance at our menu today? !